Anda has been on the scene since 2012, but she has been unable to reach mainstream success. However, her newest single “What You Waiting For?” might just be her big break as she is now under The Black Label; a YG Entertainment subsidiary record label. The song is fun, fresh, and showcases her charm and charisma all the while allowing her to do something different from her previous singles. Recommended for: Those looking for a female soloist with a strong presence; those who enjoy upbeat EDM songs; those who like futuristic sounds and visuals. NOT Recommended for: Those wishing for a more distinctive ‘K-Pop’ sound. ‘What You Waiting For?’ is quite standard as far as EDM tracks go. It is not the most original track out there – few of the mainstream ones are – but it is still enjoyable to listen to. The verses, thankfully, are not forgettable and they transition well into the chorus. The only thing I was not so sure on is the “I’m ready to give my love to you”. The buildup to the chorus is really nice and it is to R.Tee’s credit that I do not get disappointed once we get to the chorus-instrumental. To be honest, I am not disappointed by the lack of words in the chorus. R.Tee is a skilled producer and manages to make the backing instrumental pleasant to listen to – giving it an earworm quality that I was not expecting. On the plus side, the choreography is eye-catching, which enhances the viewing experience. I must say that this music video is quite genius. The futuristic element is really well done and is thematically relevant considering the song’s genre. I regret not having discovered Anda earlier. A big part of what makes this track click is her sheer charisma. Not only does she deliver vocally, but she is a captivating dancer and commands every scene she is in. I like the variety of outfits she wears throughout the music video. Although, quite a number of them are eye-catching, she does not hide behind the expensive fashion. Her talent shines through on its own, making her an enjoyable performer. Although the song is not the most unique one out there, her vocal color adds a je ne sais quoi element that elevates the track to a new level. I am not sure that I would have enjoyed the track as much had it been any other singer, which speaks positively to her delivery. ‘What You Waiting For?’ is an enjoyable track, but it does sound like something I’d expect from a Calvin Harris collaboration with some American pop-star. Though it is well produced and expertly delivered, the song feels a bit too been-there-done-that. I wish it had that more distinctive K-pop sound, which is a bit ironic considering how heavily K-Pop is influenced by the West. 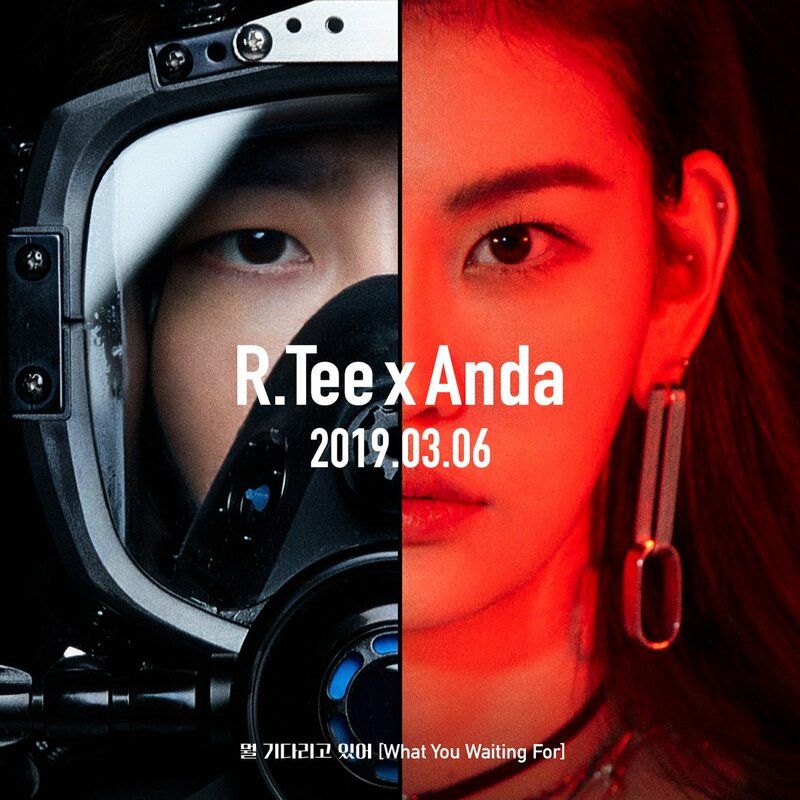 Still, I cannot help but be disappointed considering R.Tee has produced some stellar tracks like Big Bangs ‘Fxxk It’, iKON’s ‘Killing Me’ and BlackPink’s ‘Playing With Fire’. The fact that this track sounds more western shouldn’t be a surprise either considering the label it has been released under. Nonetheless, that does not make the song any less enjoyable. ‘What You Waiting For?’ is a great song to start March 2019 and sets the bar really high. Anda is a fantastic performer and is the reason I enjoy this song so much. R.Tee's production comes through; even though there isn't much to the chorus, it is at least easy to listen to and catchy. The music video is really well done and combines multiple color palettes well. This isn't necessarily bad, but the song feels like something straight out of a US Top 40 radio playlist. Perhaps that is what Anda and R.Tee were going for, but K-Pop has a lot to offer and does not need to be bogged down by western sounds.